The only recorder which 100% hidden without SWITCH button unlike others have that switch so can be easily detected as hidden voice recorder. 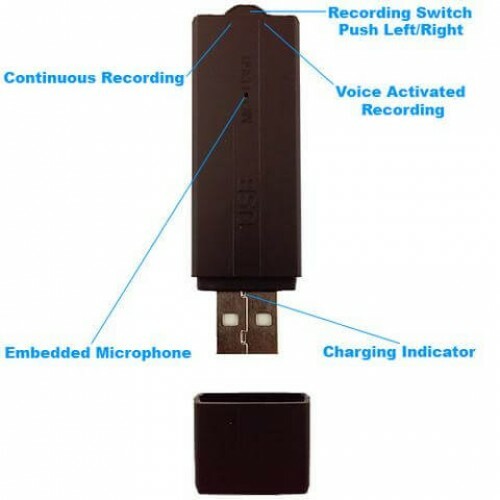 Our USB Voice Recorder is the epitome of multitasking yet handy gadgets that keep the customer’s convenience on the highest pedestal. Our device boasts a 24-hour battery life while recording and an incredible 25-day standby battery life in voice activation mode. It stores a huge 288 hours of audio and takes just 2 hours to recharge fully. You recorded your files and are listening to them. But you want to know exactly when a file was recorded. Don't worry; we've got you. The device automatically puts a date and time stamp on every audio file stored in it. If you can't see the date and time stamp visit the support section and download the software. Once installed, click the start button to set your date and time. After that, you just have to record 30-second audio to test the date and time stamps. However, the process of retrieving the recorded audio files couldn't be easier. Plug the device into a USB port just like you would with any other pen drive and wait for a few moments. A folder will pop on your screen which you drag and drop onto your PC. The audio is recorded in a high-quality MP3 format, so you don't need any custom software to listen to it. One double-click on the files and you're good to go. So how do you start recording? Flip a switch, and that's it! Flipping the switch to the right initiates voice activation while flipping the same switch to the left starts continuous recording. To stop the recording, just flip the switch back to its original position. 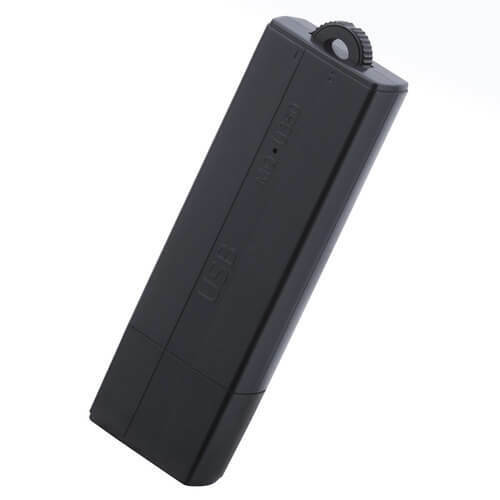 The Professional Spy USB Voice Recorder is here! The ultimate voice recording gadget with a slew of features revolving around convenience and functionality. Once you get to know this gadget, you’ll only be left wondering what it cannot do. Vimel Mini Tiny VIM-VOICETINYU2 This is new tiny Vimel Voice Reco..